About – More Health, Inc.
Mission: Providing health and safety education to children, teens, & adults. Vision: Healthy, Safe, Strong children, teens, & adults. ♥To identify & meet the health & safety education needs of children, families, teachers & schools. ♥Improve the quality of the MORE HEALTH lessons & programs. ♥Inspire, attract, & retain qualified administrators, staff & teachers. ♥Initiate & expand program expansion. ♥Increase the financial support for growth of the organization. Healthy, safe, strong children, teens and adults is the vision that has guided MORE HEALTH, Inc. since 1989, reaching over 3.6 million school-aged children. 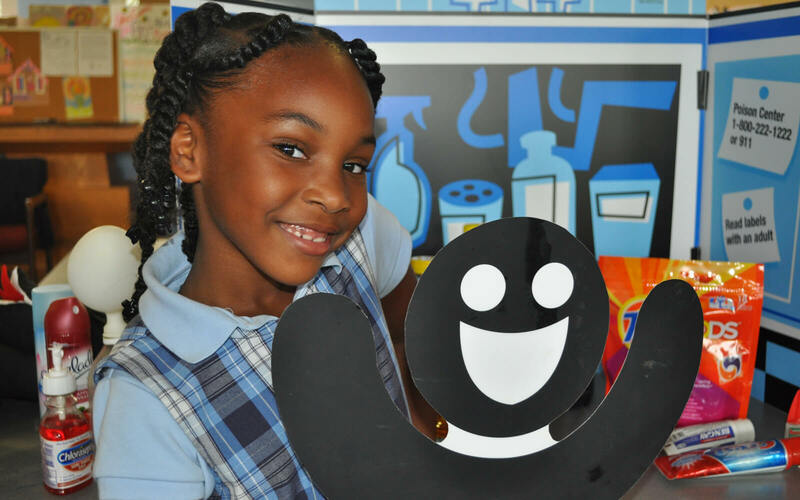 MORE HEALTH, a 501(C) 3 nonprofit organization, develops effective health and safety lessons, trains high-quality instructors, and delivers those lessons to students in Pre-K to 12th grade. 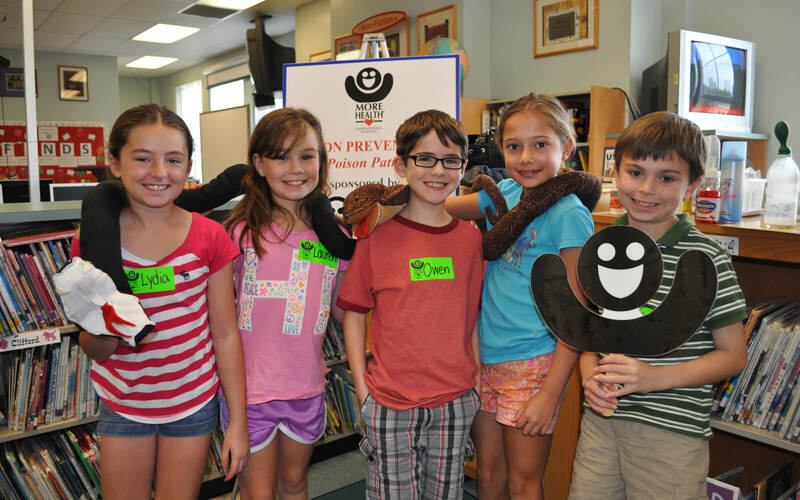 MORE HEALTH was started by Nancy Crane and the Junior League of Tampa as a 3-year project. Since 1992, MORE HEALTH has partnered with Tampa General Hospital, and became a non-profit organization in 1997. 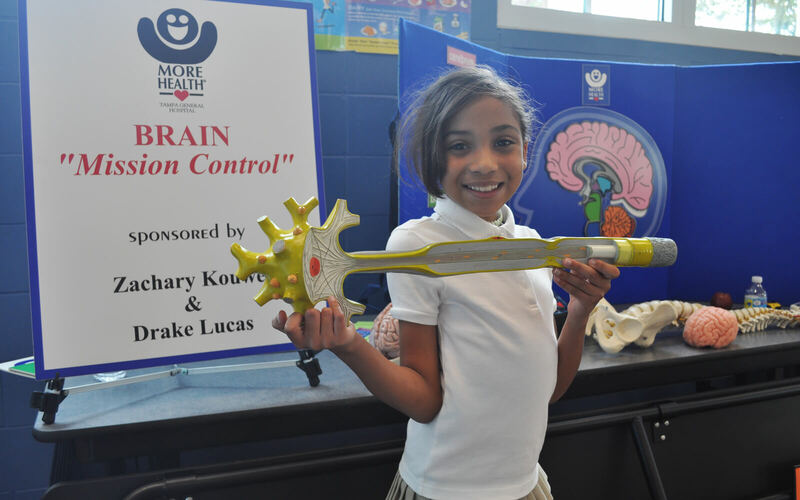 MORE HEALTH is committed to providing innovative lessons to empower students and their families with the knowledge to make healthy and safe decisions leading to a lifetime of overall well-being. We believe prevention begins with education. What does MORE HEALTH teach? MORE HEALTH offers 25 lessons that address topics such as nutrition, dental, heart, brain, personal hygiene, skin cancer prevention, firearm safety, bike and pedestrian safety, poison prevention, teen pregnancy and others. Lessons are matched to the Florida State Standards and National Standards for health education and meets many standards in other subject areas, such as science, social studies, math, language arts, and physical education. Students are engaged in a kinesthetic style of learning with custom made visuals, puppets, role-playing, songs, and dance movements. 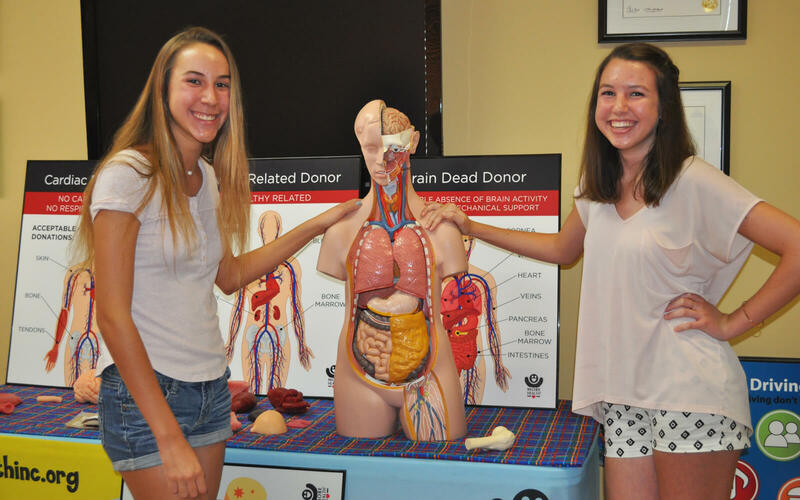 MORE HEALTH ensures students receive scientifically and medically accurate information by working closely with content experts and professionals in the community. How is MORE HEALTH funded? Establishing healthy behaviors during childhood is easier and more effective than trying to change unhealthy behaviors during adulthood. Research shows a link between the health outcomes of young people and their academic success. For this reason, Tampa General Hospital has served as MORE HEALTH’s major partner, investing more than 4 million to support the organization over the past 25 years. 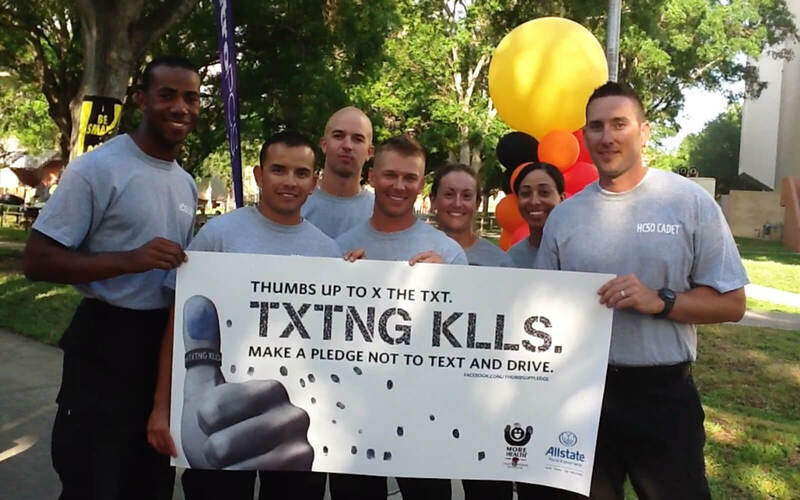 With funding from Tampa General, Johns Hopkins All Children’s Hospital, One Blood, Florida Safe Routes to School, Tampa Bay Rays, Tampa Bay Lightning, the Allstate Foundation and others, MORE HEALTH instructors have taught students in Pre-K to 12th grades throughout the Tampa Bay area at NO COST to the schools. Every year the demand from schools for MORE HEALTH lessons results in waiting lists for 1,000’s of students. 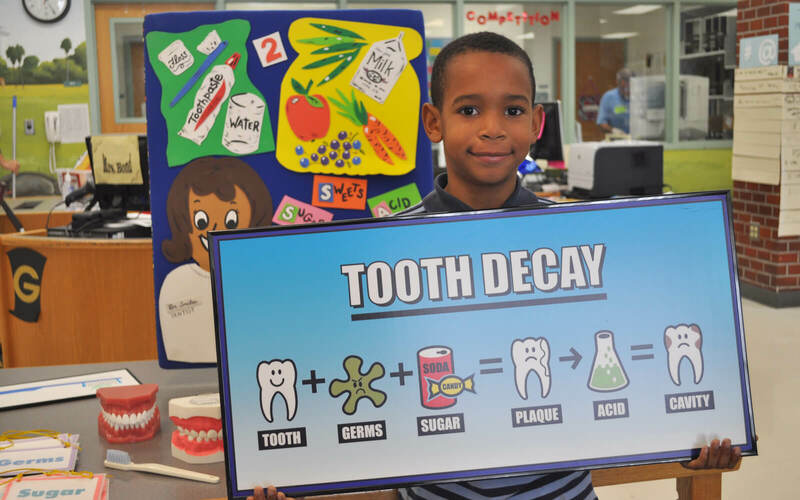 MORE HEALTH continues to seek new community partners to meet the demand for health education in Tampa Bay area schools, and to expand the educational outreach to schools throughout Florida. Where Does MORE HEALTH offer the lessons? 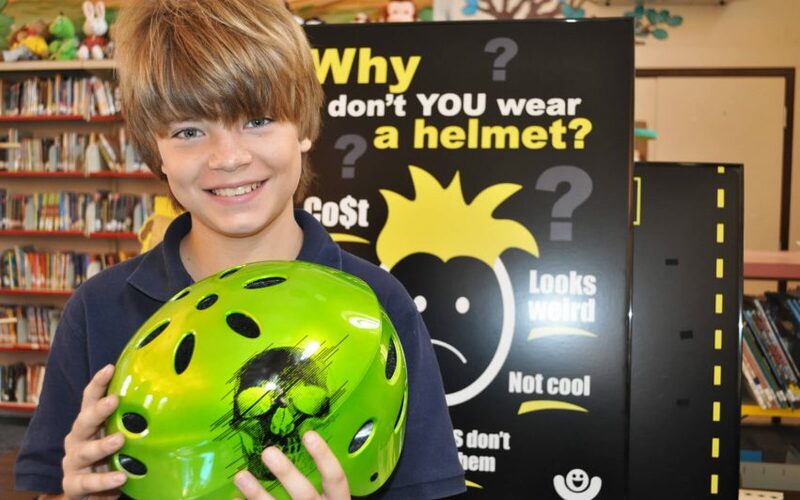 MORE HEALTH currently offers health and injury prevention lessons to students in Hillsborough, Pinellas, Pasco, and Polk County public and private schools. 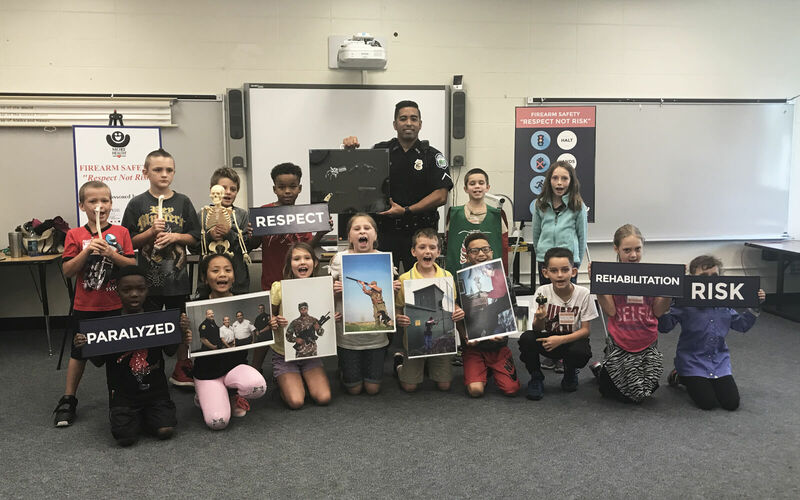 Last year, MORE HEALTH instructors provided 10,455 health or safety presentations to 224,916 students in grades K-12 at no cost to the districts. MORE HEALTH also serves school districts and community organizations by providing health education to adults through professional development opportunities and evening programs for families. 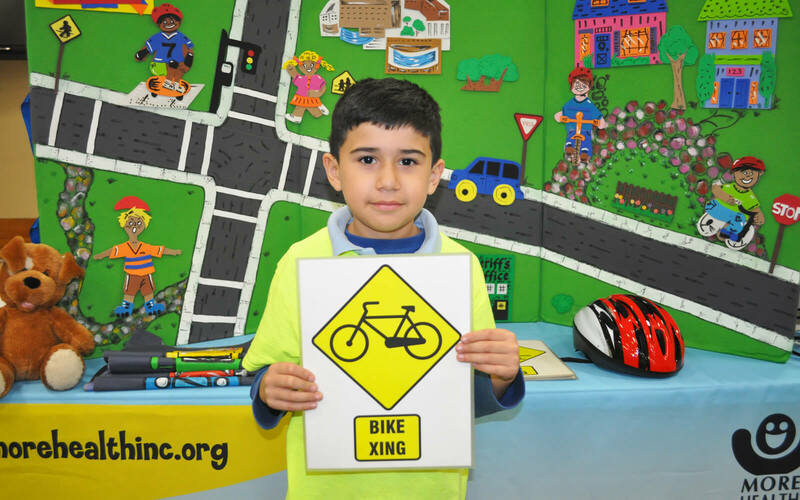 MORE HEALTH offers dental, personal hygiene, and bike and pedestrian safety education kits and support resources through the website. What are the Benefits of a MORE HEALTH lesson? MORE HEALTH lessons include an interactive curriculum, using custom-made visuals to engage learners of all ages. All lessons are scientifically and medically accurate with a goal to improve knowledge, skills, and attitudes toward healthy lifestyles. The lessons average 40-60 minutes in length and are taught to one classroom at a time. The MORE HEALTH adult programs, such as the Healthy and Fit program for families and the Firearm Safety program, have been successful at engaging parents through hands-on activities and incentives designed to encourage participation. ♥Align with the Common Core Competencies and the Florida State Standards and National Standards for health education and meets many standards in other subject areas, such as science, math, language arts, and physical education. 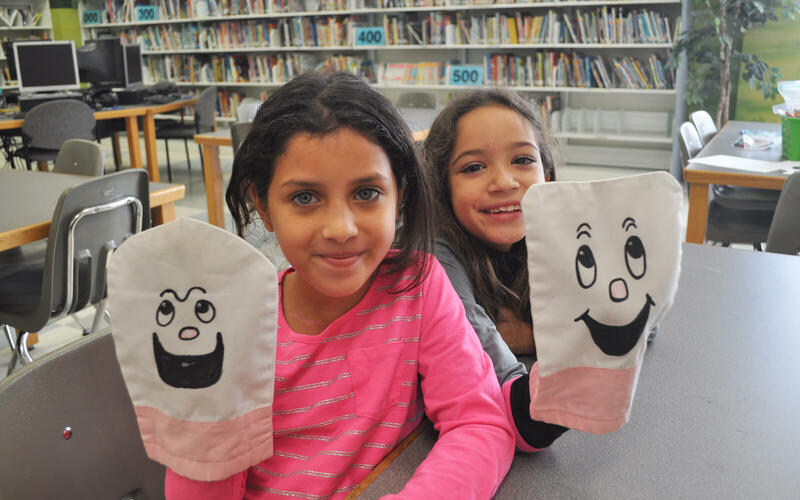 ♥Engage students in a kinesthetic style of learning with custom made visuals, puppets, role-playing, songs, and dance movements. ♥Ensure students receive scientifically and medically accurate information. ♥Pre-visit materials (optional) delivered to classroom teachers prepare students for the lesson with vocabulary words, recommended reading and DVD’s, pre-tests and other hands-on learning activities. ♥Lessons are matched to state and national standards, and include lesson goals and objectives. ♥MORE HEALTH instructors teach the 30-50 minute lessons to one classroom at a time. 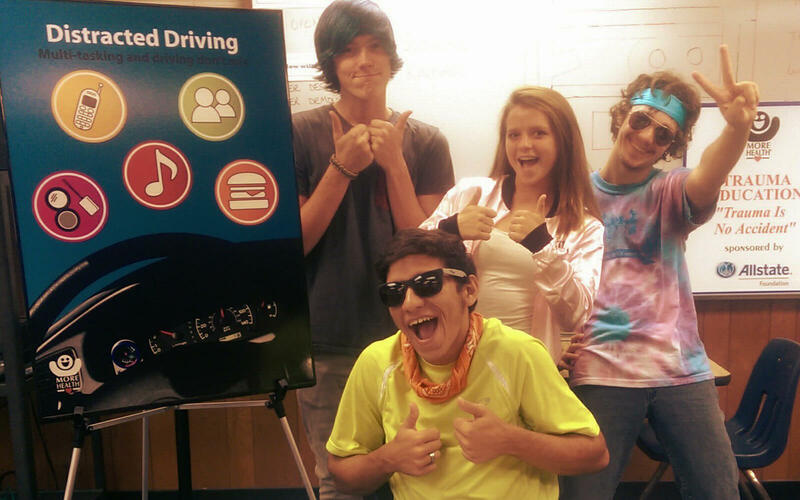 The lesson presentation is fun and highly interactive to engage students in the lesson subject as they learn important life skills to be healthy and safe. 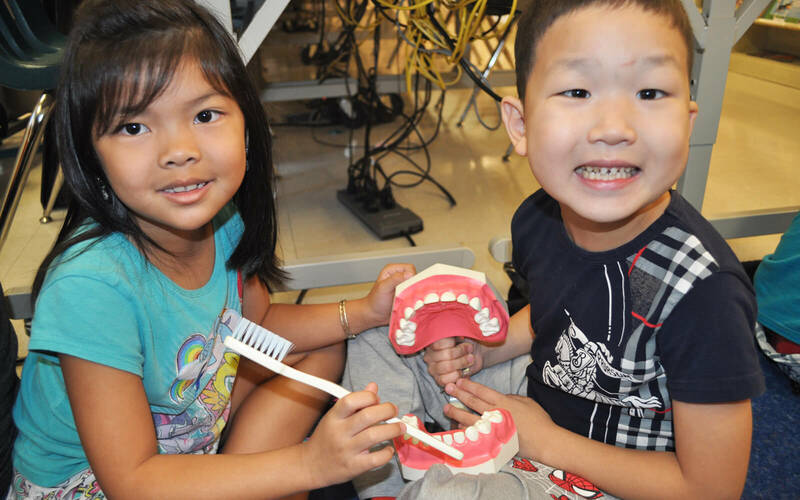 ♥Post-visit materials (optional) provide teachers with additional learning activities. ♥Educational materials brought home by students provide an opportunity to extend the lesson and recognize sponsors through communication with the parents/caregivers. ♥Thirteen MORE HEALTH lessons have been studied by outside evaluators including the University of South Florida, College of Public Health, Hillsborough County School District, and New Directions/New Ideas. Eight evaluative studies were published in health and nursing journals. ♥The lessons have been found to be statically significant in increasing knowledge with intent to change behavior. ♥Classroom teachers evaluate every MORE HEALTH classroom presentation for content, Instructor presentation, and lesson effectiveness. Classroom teacher evaluations averaged 98% satisfaction for the presentations during the 2016-17 school year.